It’s Halloween and from tomorrow everything will become Christmas-themed so I had better re-live the last of my summer. 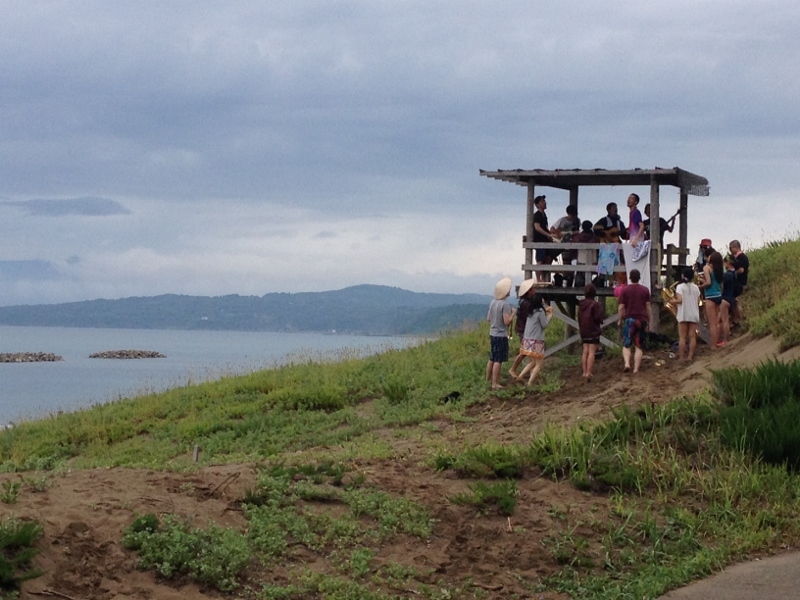 I was back in Japan at the beginning of August and had several weeks of summer vacation when I could take time off, so very last-minute, my friends and I organised a trip to the Earth Celebration on Sado Island, off the coast of Niigata, north of Ishikawa. 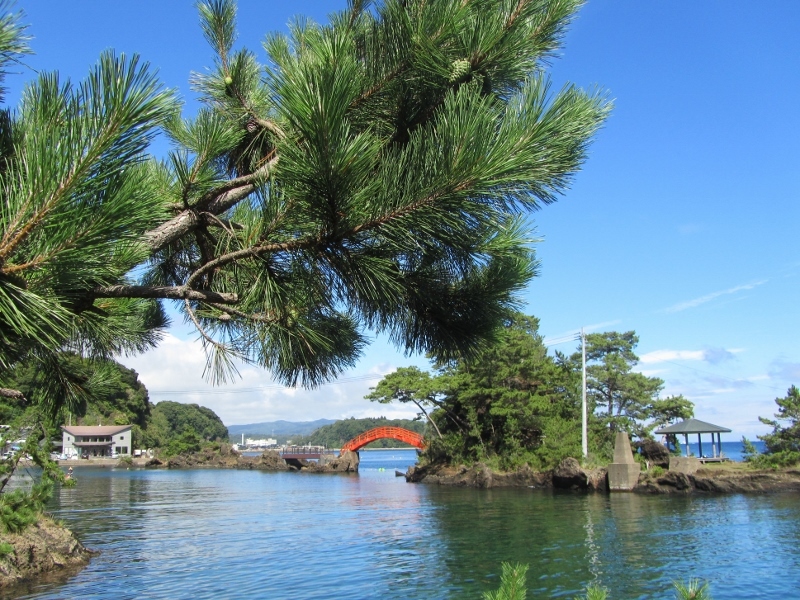 The island has a historical reputation of remoteness and in the past, important people who fell out of favour, like emperors and monks were exiled here. 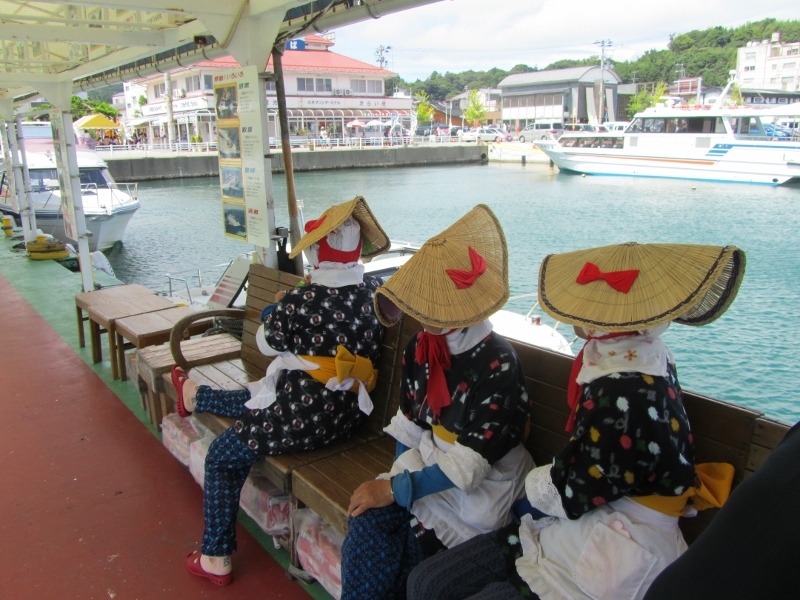 It still feels very remote and rural, but the island’s population increases enormously for the festival weekend. 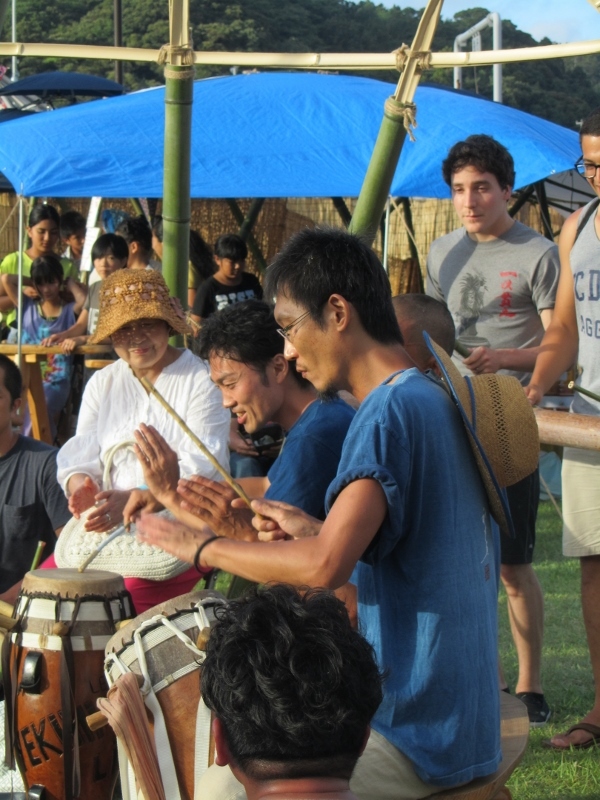 The island is home to the famous taiko drumming group called Kodo, who practice here when they are not touring the world. 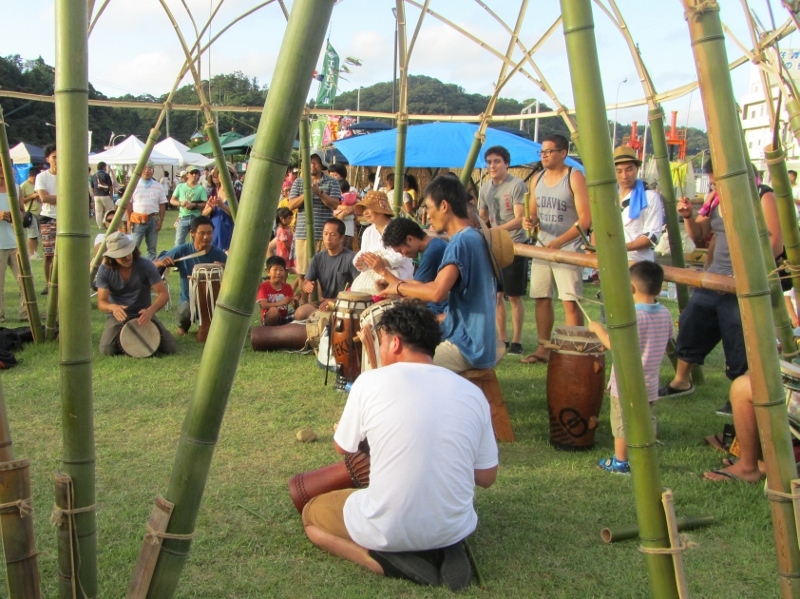 The three-day festival consists of nightly concerts with both the Kodo group and international percussionists, daily workshops and fringe performances as well as a market. For that weekend the island becomes a hippie commune. 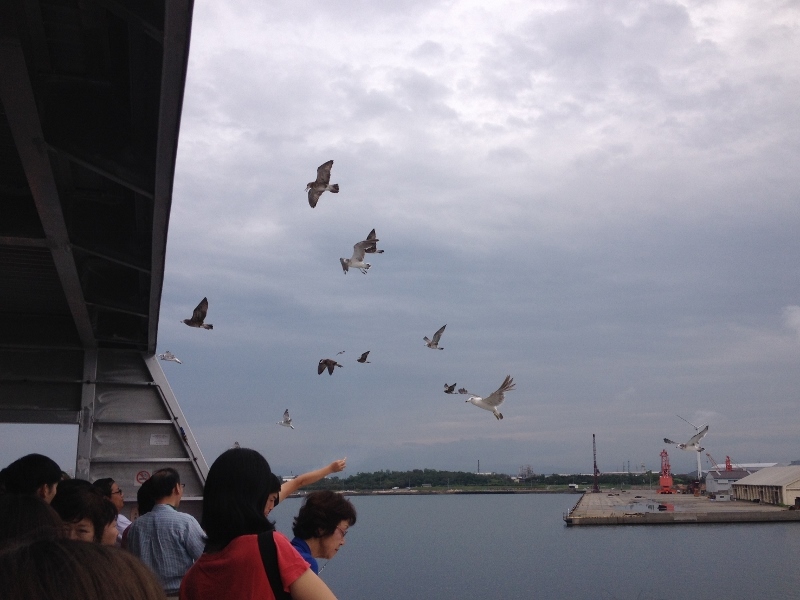 We took the train to Naoetsu in Niigata then took the beautifully modern ferry Akane to the island. 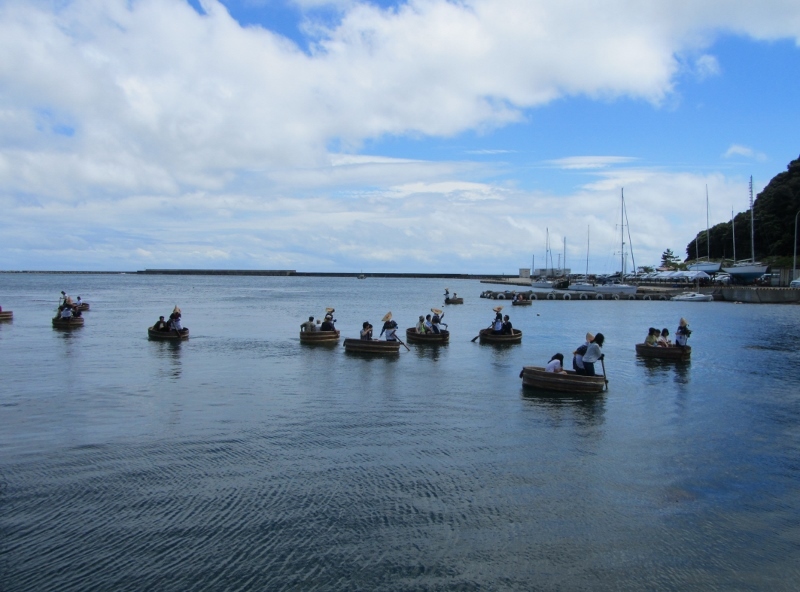 Later we got to try out one of the traditional attractions of the island, taraibune, or tub boats, that are shallow barrels rowed by wiggling a single oar. 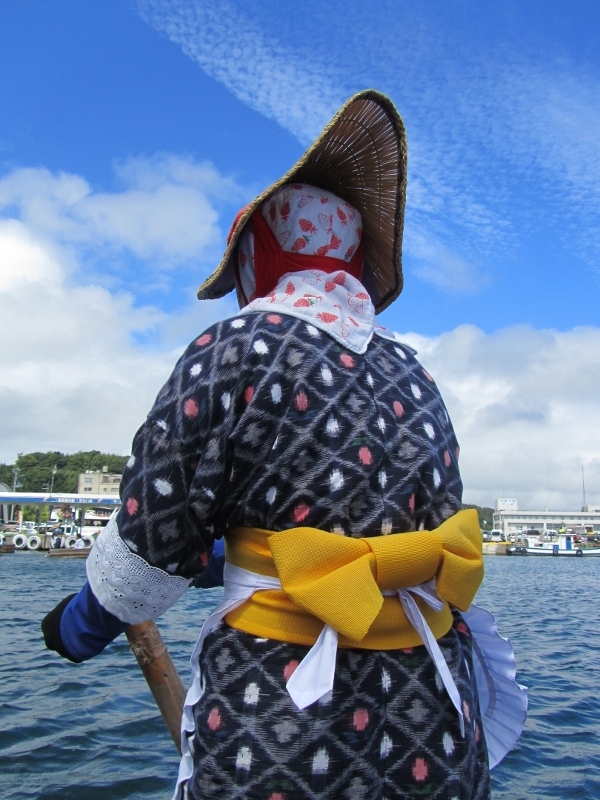 They are rowed by older ladies dressed in traditional clothes around the harbour as a tourist attraction, though they used to be used for collecting seaweed and shellfish. 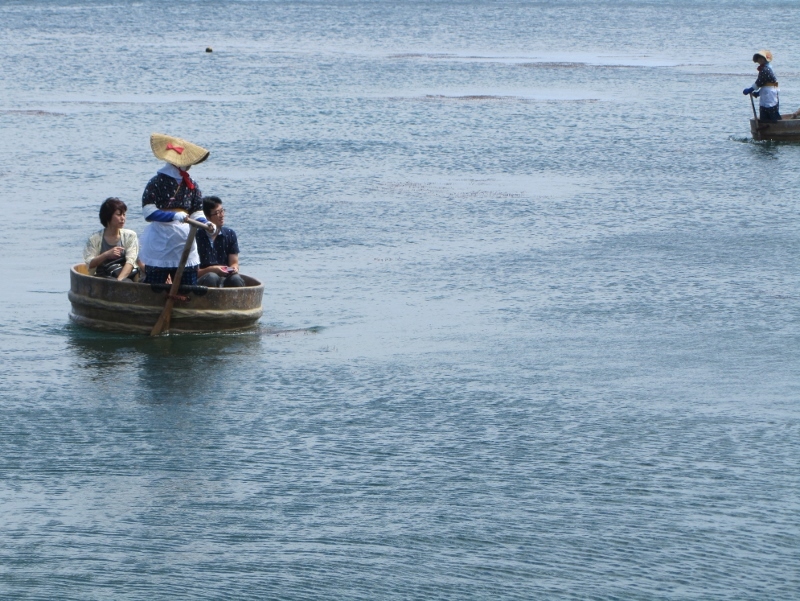 There’s a special technique to the rowing that none of us could get the hang of when we tried. We relied on the shuttle buses to get around, which were fine until the day after the festival when they stopped and we were so lucky that a person at our campsite had ordered a taxi that was a minibus so that we could get in it too. 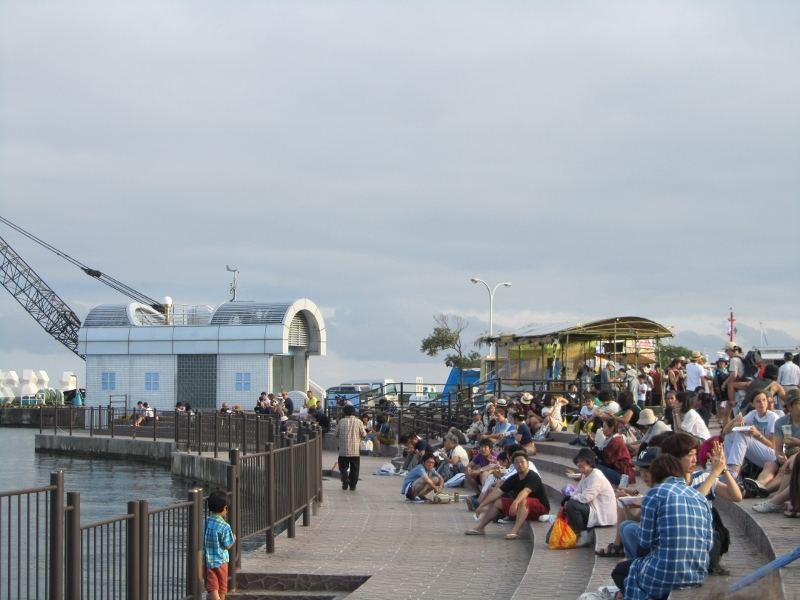 We were not so lucky later at the port in Naoetsu when the last bus to the train station left before the arrival of the ferry. We waited at a taxi rank with other people who had seemingly already ordered taxis and one of them was kind enough to give a telephone number for a taxi company, but when we rang up to request a taxi, the man just laughed. So we had to walk for a long 20 minutes carrying all of our tents and belongings. 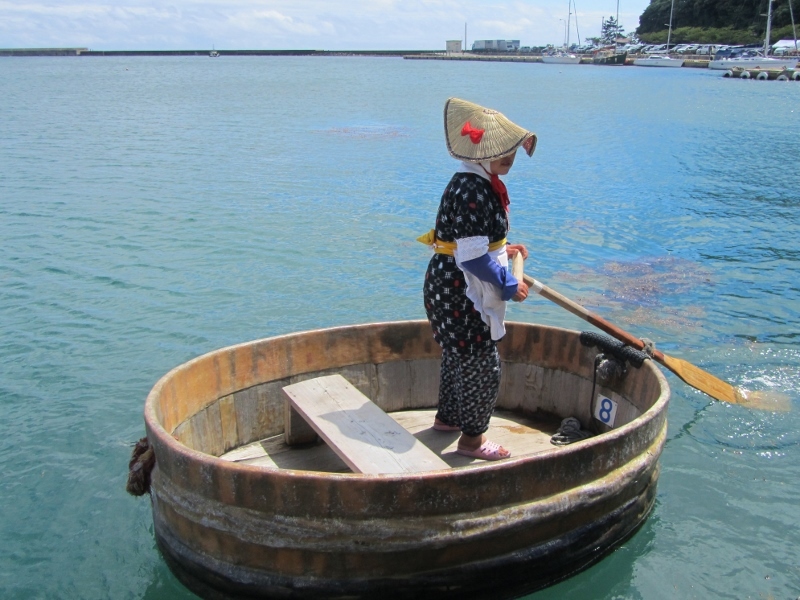 If you can, I highly recommend going with your own transportation! 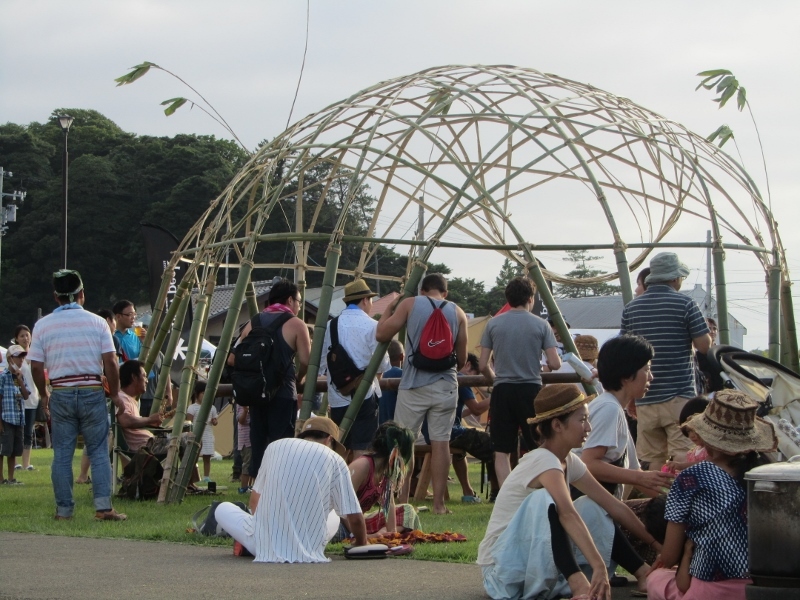 The festival was great, and so are Japanese hippies. 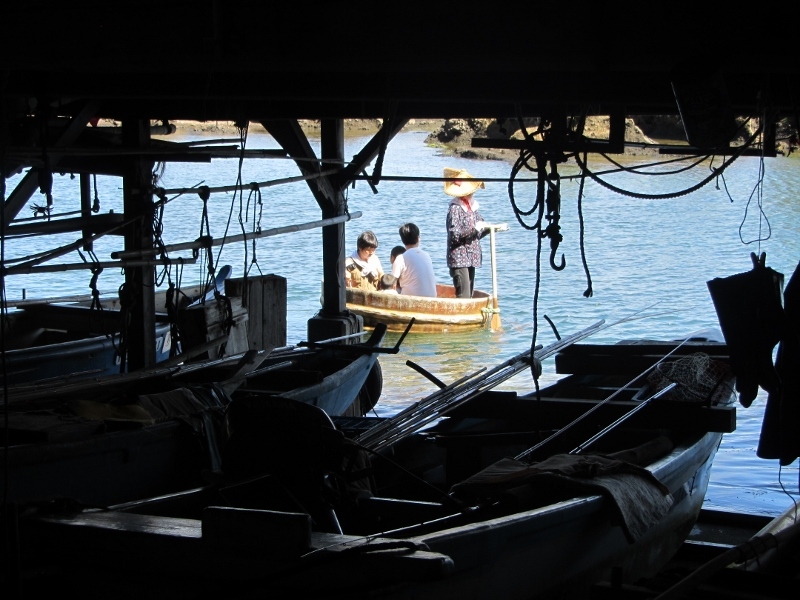 They are more chilled and easy-going than their fellow countrymen in general, but still so organised, clean and tidy. 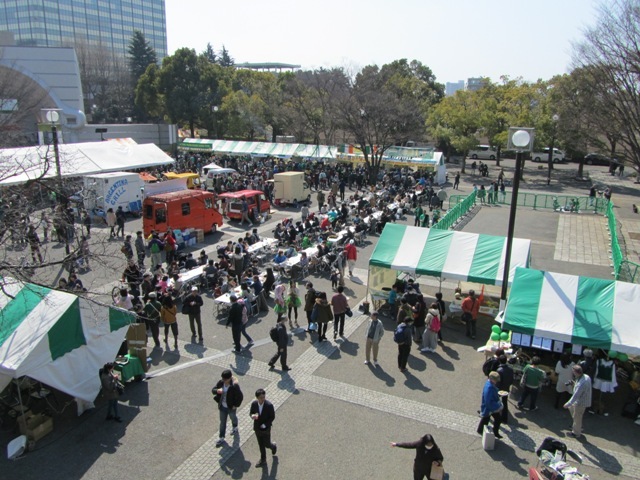 There were many regular folks there too and it was nice to wander around the market, that had a great selection of international foods, and catch some impromptu performances. 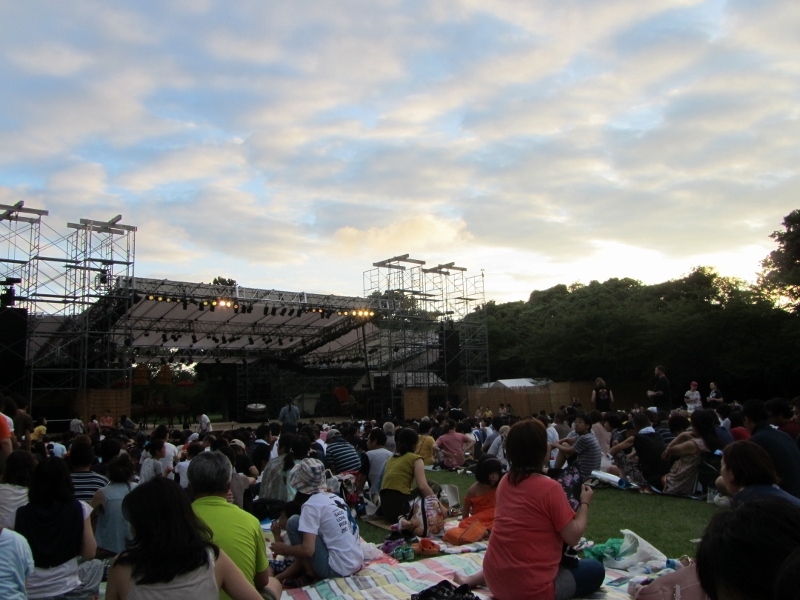 The concert organisation was very Japanese with everyone bringing picnic mats and setting up respectfully beside each other. Most people stayed seated for the concerts, but at the sides there were standing areas where you could go to dance, but the performances had so much going on visually that it was amazing to watch these drummers banging away with all their might. 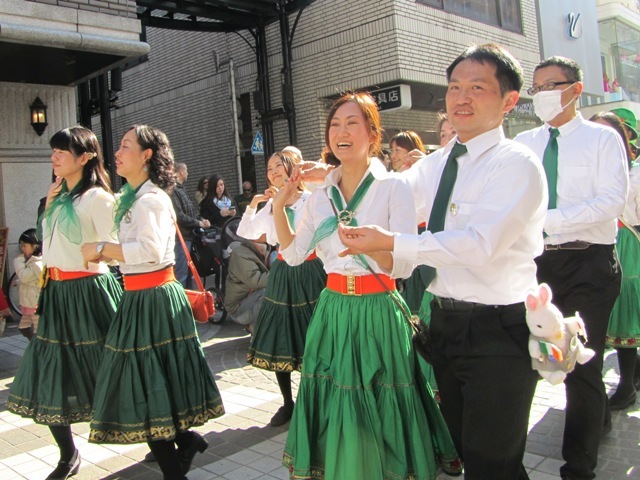 When the concerts were done, there were some after-events with some traditional music and dance. 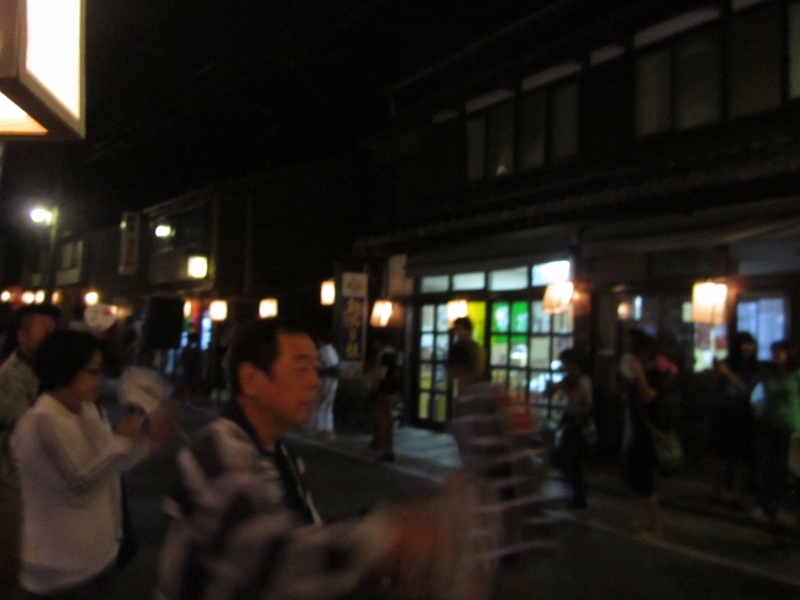 One night there was dance along the street (similar, but on a smaller scale to the Hyakumangoku dance) where you could join in and pick up the steps while being accompanied by traditional music played on drums and flutes. 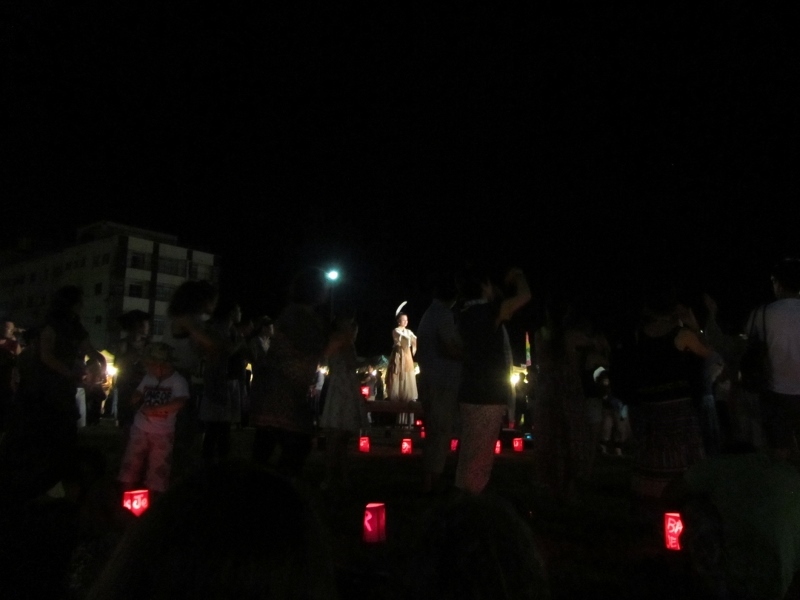 On the last night in the market, there was another dance, this time taught by a beautiful lady with feathers in her hair, to the sound of a very haunting song. 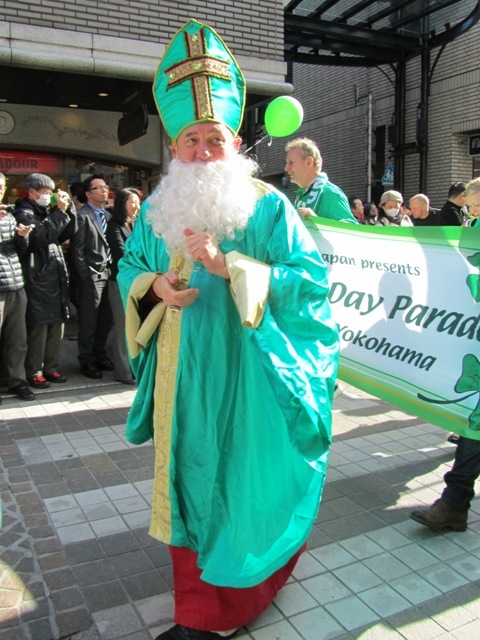 St Patrick’s Day was a few weeks ago now, but hopefully not too late to read about. 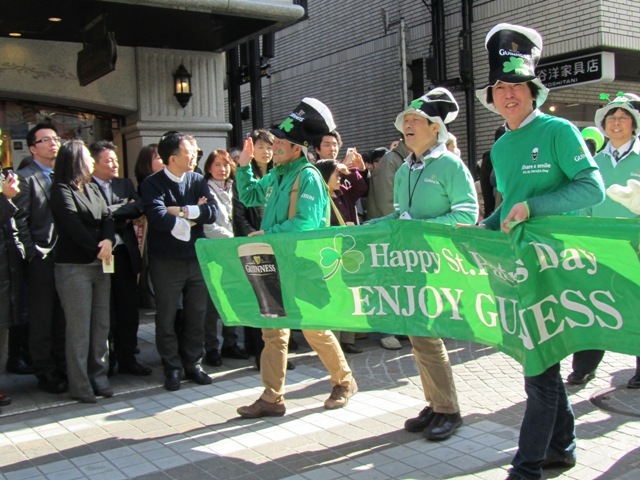 The past two years in Japan I just stayed in Kanazawa for St Patrick’s Day and went out for an expensive glass of Guinness with my compatriots. This year, however, I was inspired by my students to mark the occasion properly. 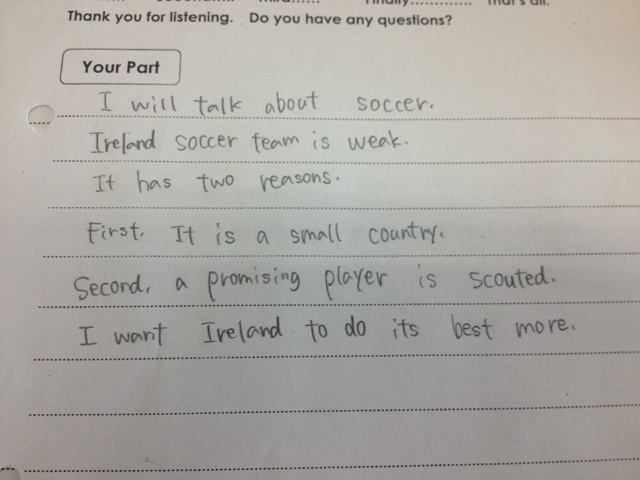 In February and March my students were learning about Ireland in their textbook and they had to do a presentation about the country and its culture. It was interesting to see what the students researched; Irish sports like hurling and gaelic football, famous places like the cliffs of Moher and the Giant’s Causeway, foods like Irish stew and soda bread. 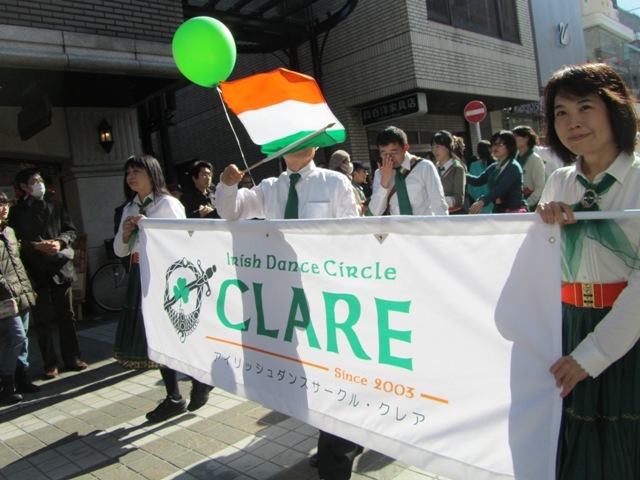 Because Ireland doesn’t have a traditional costume like the Japanese kimono, some students talked about Irish dancing costumes and Aran jumpers. 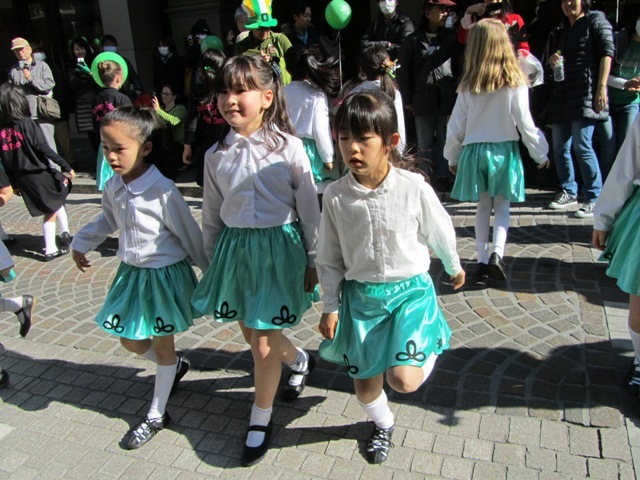 They were interested to know that Jonathan Swift was Irish because Gulliver’s Travels is a popular children’s book in Japan. I’m glad that they could find out more about Ireland than just our reputation for drinking. 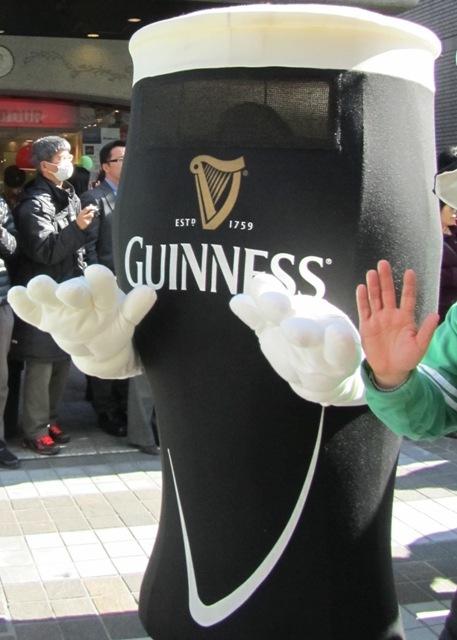 I’ve never been to the parade in Dublin city because you have to get there early to stake out a spot, transport is difficult and there are a lot of drunk people around. 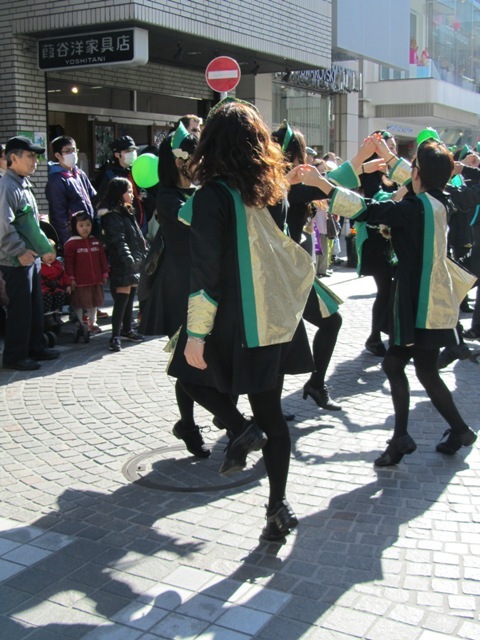 Most years though, I went to my hometown’s parade. Sports teams and various clubs and groups would walk/perform, local businesses would advertise and give out sweets to the kids watching, and vintage car/motorcycle/tractor enthusiasts would drive. 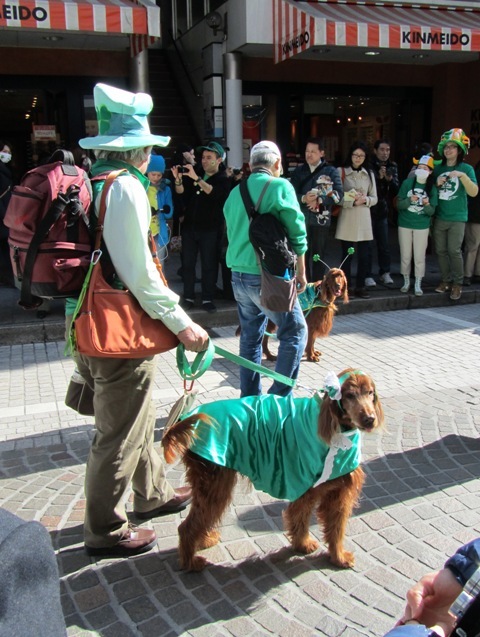 In March there are St Patrick’s Day events held in cities all over Japan, from Okinawa to Tokyo. 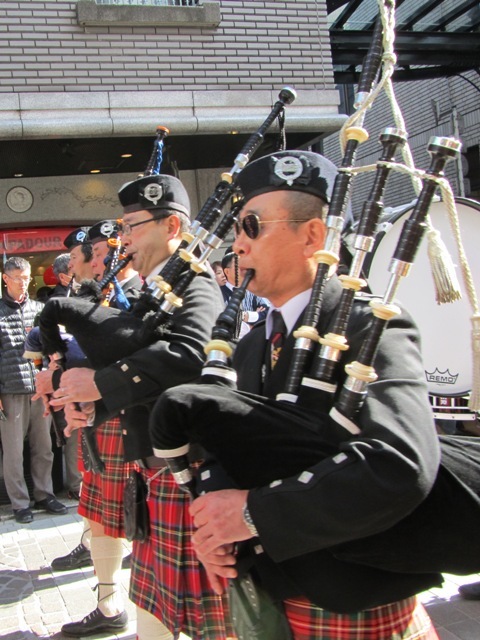 On Saturday 15th there was a parade in Yokohama and one in Tokyo on the 16th, so I went to the Kansai area to visit both of them. 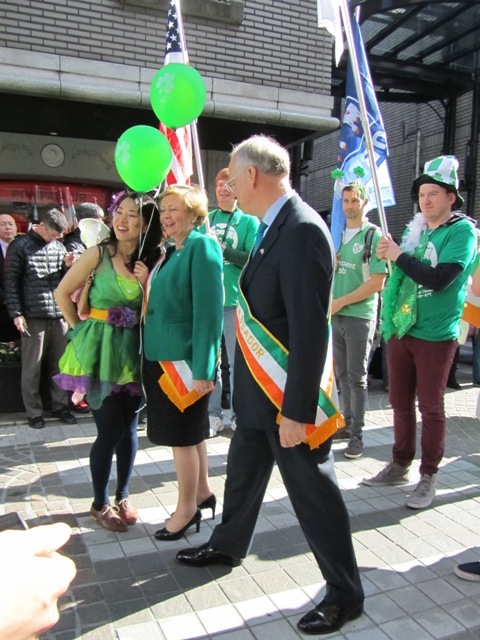 The Irish Minister for Children and Youth Affairs Frances Fitzgerald and the Irish Ambassador John Neary were in attendance. 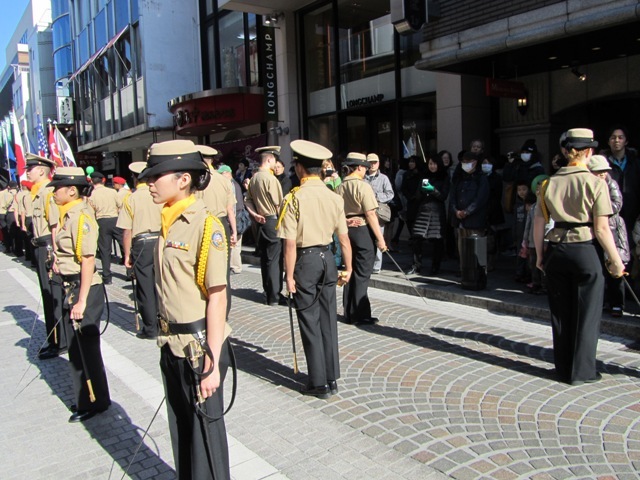 The Yokohama parade was held at 1 o’clock in Motomachi, just beside Chinatown. It went down a narrow street so as it went by, it felt like the spectators were part of the parade too. It was only a small parade, but I was very impressed with the groups in it. 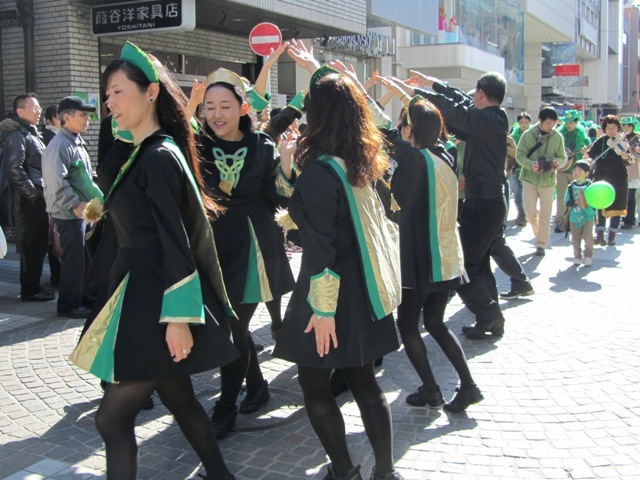 After the Irish pub sponsors came groups of traditional musicians and dancers, who would pause regularly to play or dance for the crowd. 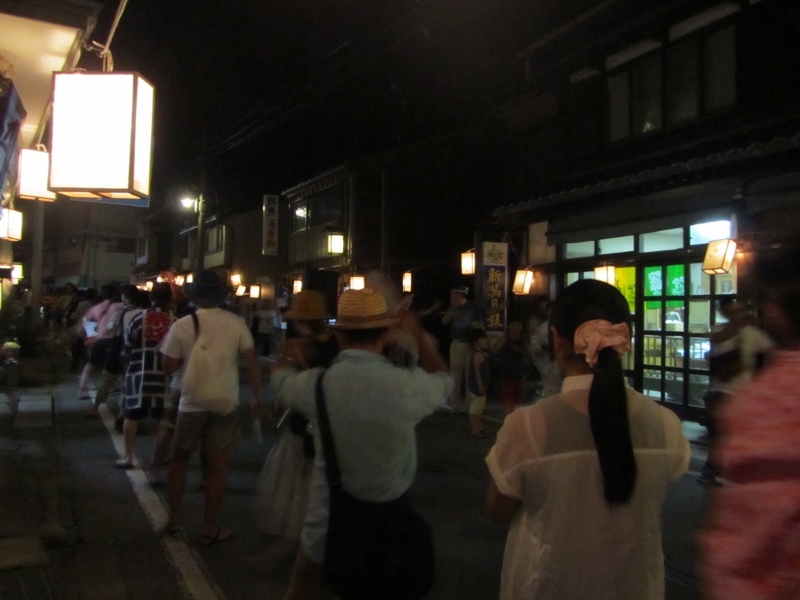 It was how I imagine seeing foreigners in kimono must seem to the Japanese at first – a little uncanny, but great to see people interested in your culture (especially if you don’t appreciate it as much as you should). 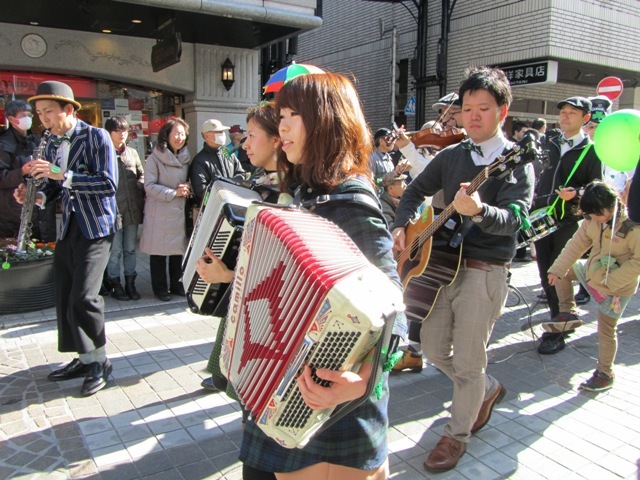 Some of the musicians were really good, and the little girls doing step dancing were so cute in their outfits. 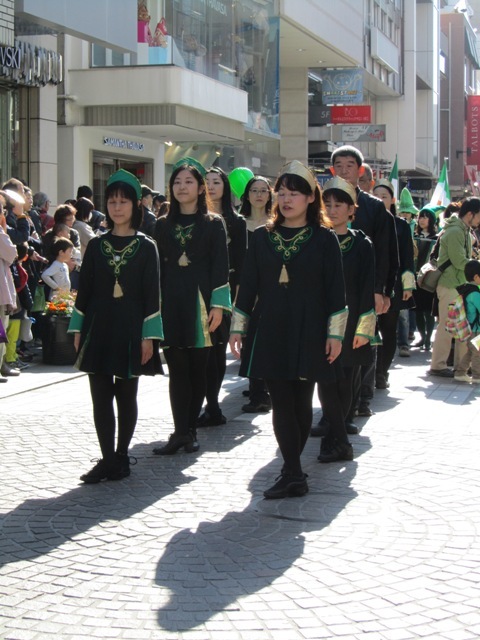 There were also non-Irish-related groups in the parade such as a Chinese restaurant, and several marching bands, which added some international flavour, which suited the Yokohama setting. 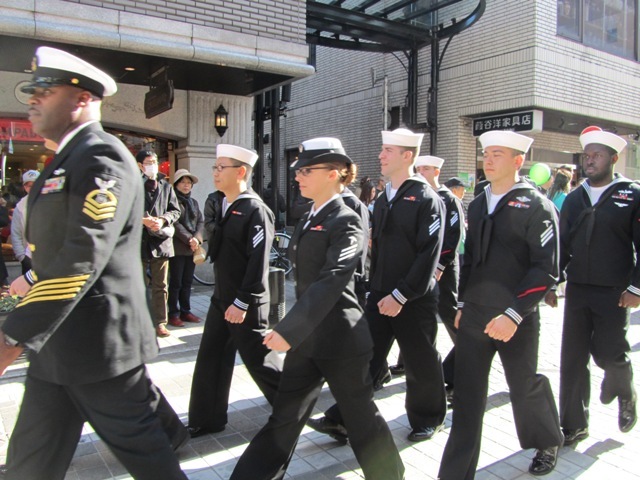 As well as the Chinatown, there’s a US military base and some international schools in the city. 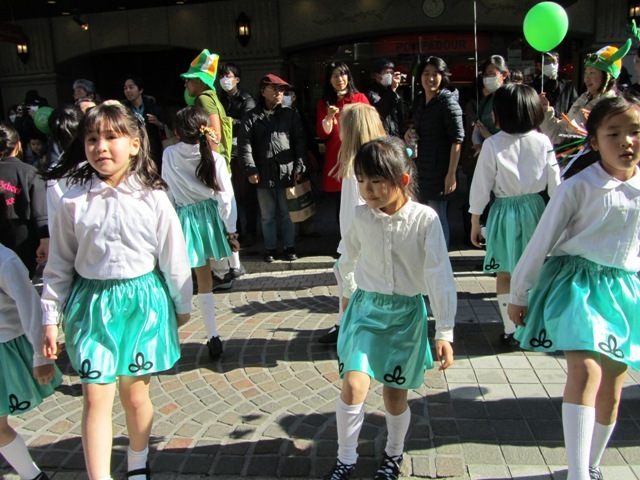 The biggest St Patrick’s Day parade is in Harajuku, Tokyo, where it has been running since 1992. 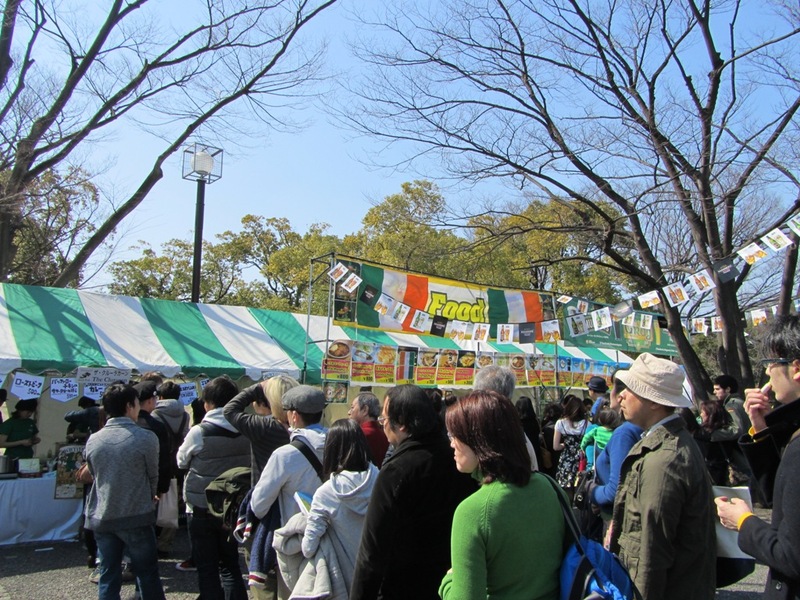 Unfortunately I missed that parade because I was too busy enjoying the first ever ‘I Love Ireland’ festival in Yoyogi park, just a few minutes away. 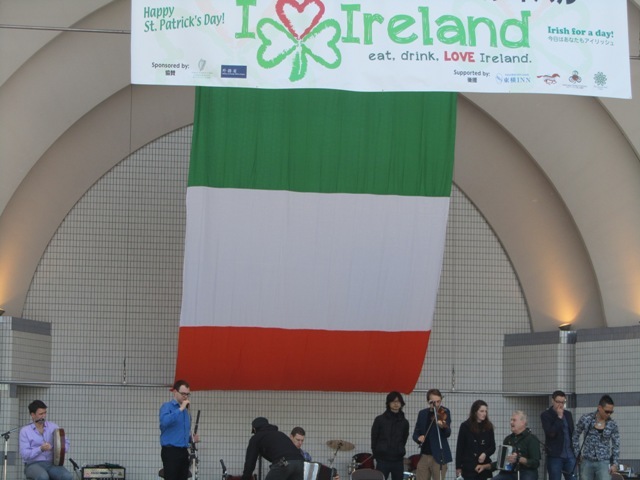 There was a stage where performers sang, danced or played music, food and drink stands, and stalls selling Irish products or promoting Irish businesses. A lot of people there were wearing green and there was a great atmosphere. 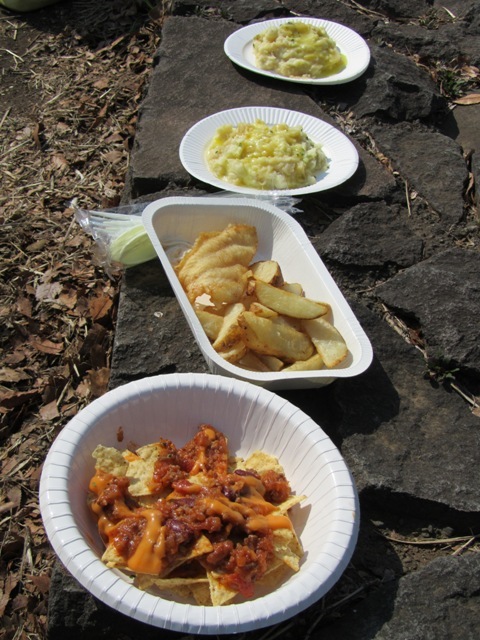 Colcannon, fish and chips, and … nachos.